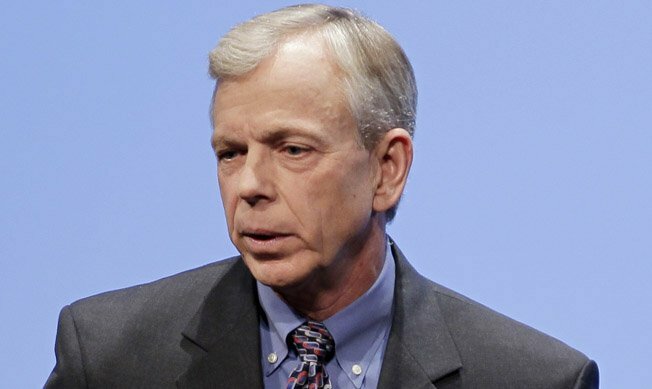 During an event in NYC today, Verizon CEO Lowell McAdam expressed his thoughts on the proposed merger between T-Mobile and AT&T, saying that this “had to occur.” He didn’t exactly back the move by these two companies, but you can tell in his comments that he would like to see it go through to almost protect Verizon in the future if they were to run into spectrum issues. In fact, he said that if the government is going to stop this merger, that it needs to have a plan to distribute spectrum and ease the crunch some carriers are facing, something they will be watching closely. So to me, that sounds as if he wants a Get of Jail Free card if his company were to ever run into problems. And if the government denies this merger, then he wants to know that pieces of America’s network will be built by the government, saving carriers an ungodly amount of money (I’m assuming). This is also a confirmation of sorts that Big Red does not feel threatened at all by the idea of AT&T becoming the biggest carrier in the states. Does that mean they would look to scoop up Sprint or maybe they are betting that their year-long headstart on LTE is enough to keep them growing. We have touched on this subject a number of times, but let us know your current thoughts on the AT&T-Mo merger.